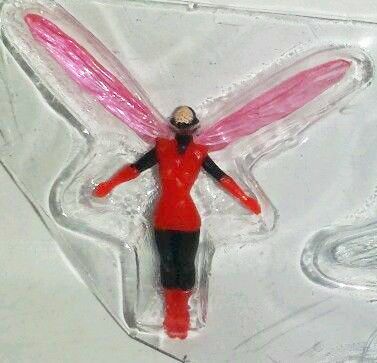 She's Fantastic: Marvel 3.75" Infinite Series WASP! The stark new packaging is a little on the boring side. Between these, the Marvel Legends figures, and all the Star Wars Black series', the toy aisles are starting to look kind of glum. 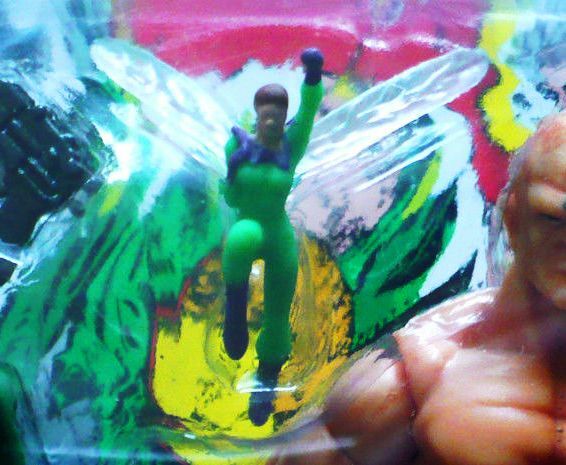 Wasp comes with two wings (unattached when in the packaging FYI) and a miniature version of herself. 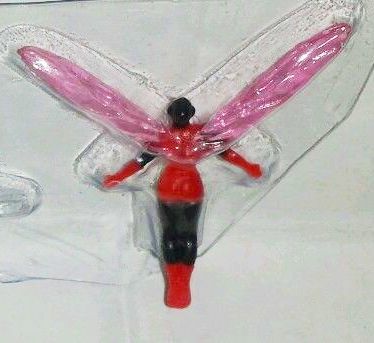 The wings have hinge joints with a pegs that can anchor into holes on her shoulderblades. My hinges were very stuck and required a lot of hot water to get free. There have been two other miniature wasp accessories similar to this one in the past. This version seems like a green variation of the same sculpt. This version is a resculpt in her classic helmeted outfit. My only issue with this figure are some minor paint problems. Her neck is cast in black plastic with painted fleshtone. The articulation rubs away the paint leaving a messy black mark. My Wasp also happens to have a tiny brown dot on her nose. Other than that though, the figure is great. My Target had the whole series minus this one when I spotted them. Bummer! Yeah I feel like she has the fateful combination of being shortpacked and highly sought after. I might pick up another if I ever see her, but only if she has better paint. I'm way too lazy to scalp haha. oh dear, Wasp is so unloved. The second heroine from the silver age. I adore her. So original. And great character when treated her well. This figure rocks. 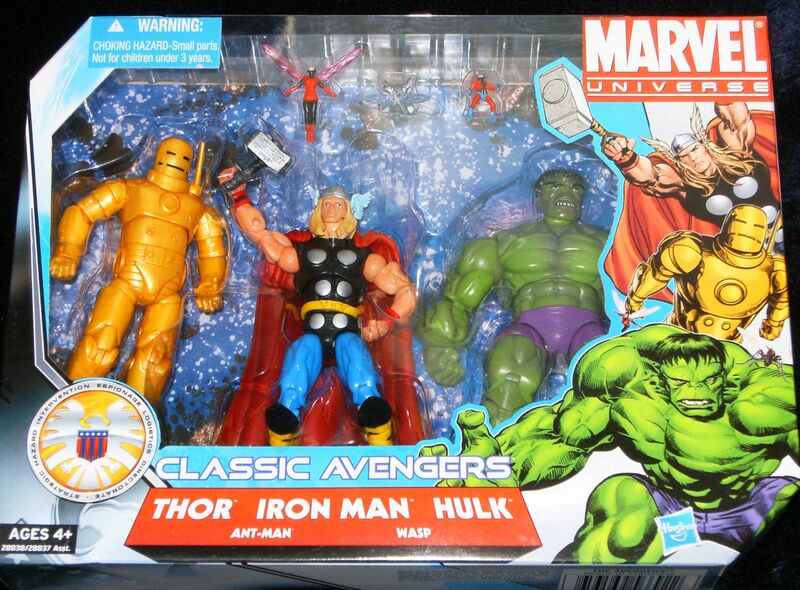 been getting quite amzed by the MArvel universe figures. Shamed i feel the Marvel heroines, which are my fabs, get such a rough deal. I guess we done OK but to omit such characters like Polaris, Hellcat, Clea, The New Mutants and the Alpha Gals, plus hey, Mantis? ARG. I agree there has to be more focus on the classic characters like Polaris, Hellcat, and all the New Mutants. 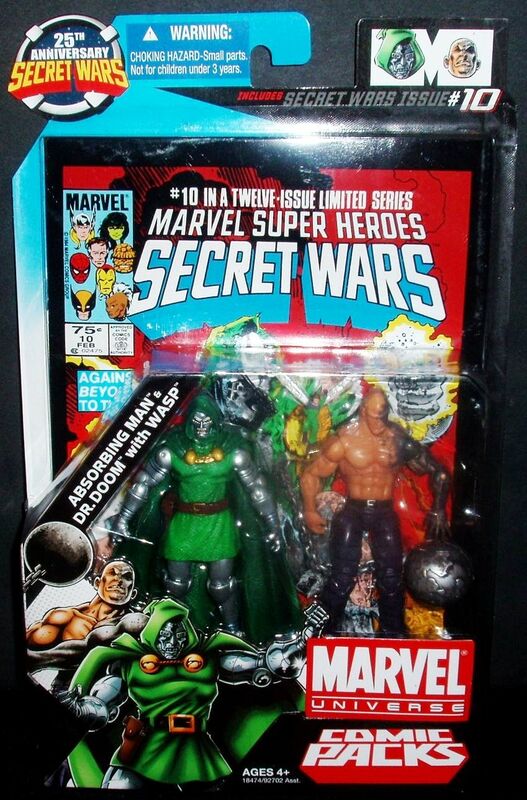 Sure, I love Red She-Hulk and Valkyrie, but they aren't nearly as impressive.